Victory is yours! For how long have things in your life felt out of control? 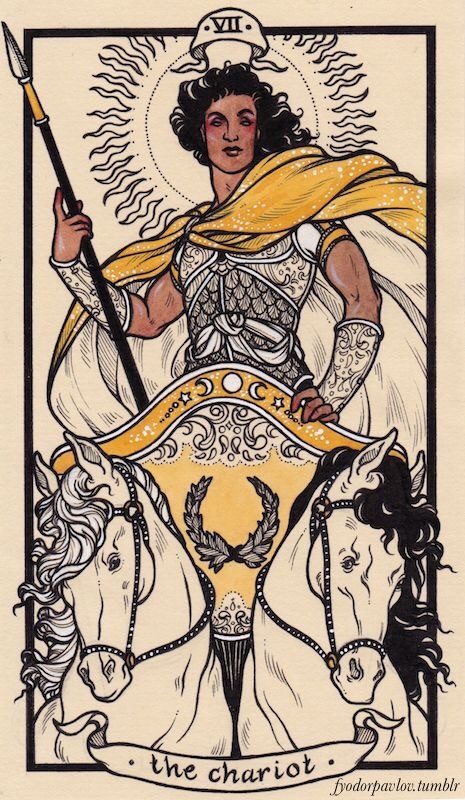 The Chariot is here to help you take back the reins of your life, allowing you to feel in charge of your destination again. Now that you can find yourself back in the driver seat, which direction will you take? There is a more concise energy available with the Chariot card; it is one which allows you to think Column A, or Column B, pros and cons, and black and white. This is because the fuzzy, foggy parts have been removed, giving you the ability to continue to take the necessary steps to put your life back on track. This entry was posted in Card of the Day, General Tarot, Love and Finance, Patreon, Readings, YouTube Videos and tagged Card of the Day, Chariot, Guidance, Path, Reading, Tarot.